Probably around my 4th attempt on the wheel, Merino spun from top. It was my 7 year wedding anniversary this year, and the traditional anniversary gift is wool. 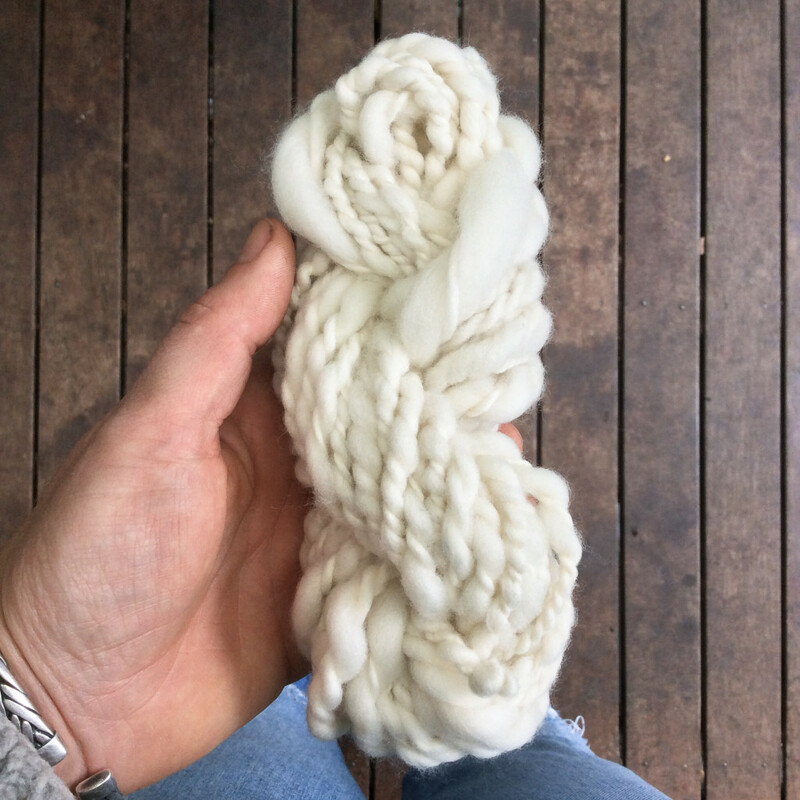 For the past year I’ve been saying to my husband “I want to buy the fleece of a sheep and have it handspun, and then make something for all of us from it.” Well it got to mid February and I was kind of “this is going to be a pain”. So we nixed the idea and went with the modern gift (pen and ink) and got tattoos instead. We’re nothing if not romantic in a body modification forever sort of way. I still wanted to do something wooly so I also knit him a beanie and bought us a beautiful sheepskin from Tarndie. When I say us, I do mean “me”. BUT, and here’s the thing – I also got it into my head to try spinning. So I ended up buying more fleece than would fit on one sheep and it’s lying around my studio in bags of all colours and various stages of cleanliness. 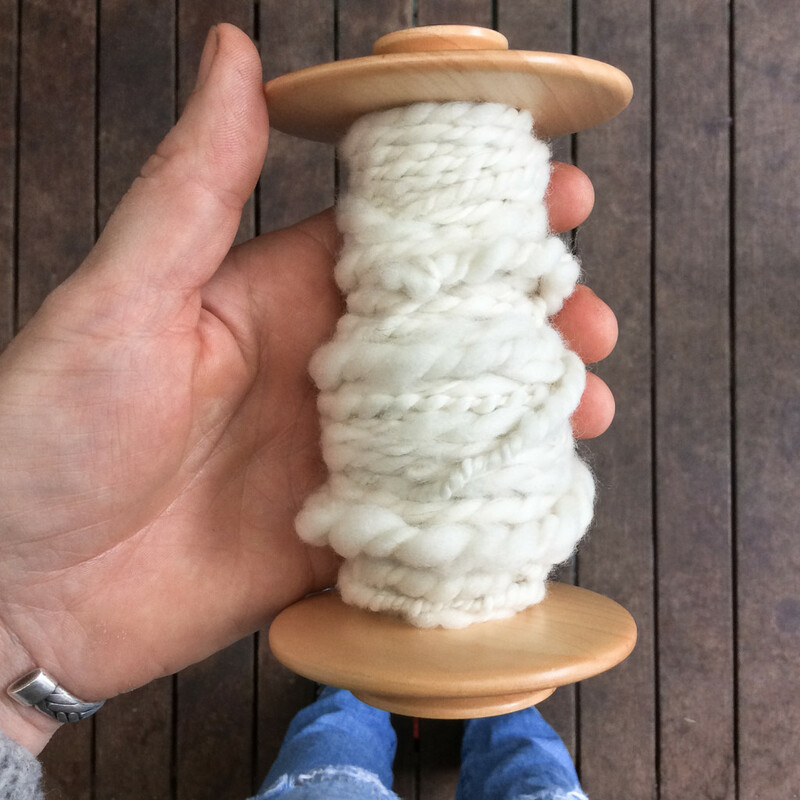 I tried out spinning using a drop spindle first, which is extremely frustrating. I was all set to keep at it, but on visiting my lovely friend Bonny at Kraftkolour last week, she loaned me a gorgeous Kromski Fantasia spinning wheel to try out. and IT IS SO MUCH FUN!!! 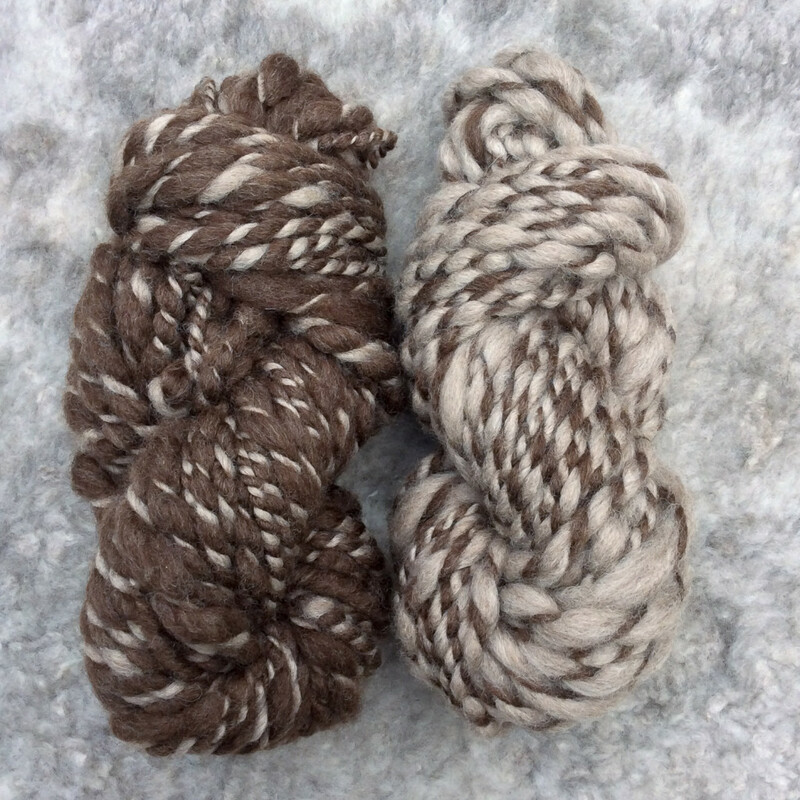 Polwarth from Tarndie, spun from top. I’ve learned how to make rolags from fleece I scoured myself(!!) which takes forever, by the way. I have learned what woolen spun and worsted spun means, and that you can sort of do something in the middle if you spin from the fold (which has been my preferred method so far). I have learned about S twists, and Z twists and that if you ply 2 S twists together using a S twist you end up with something pretty skewed. 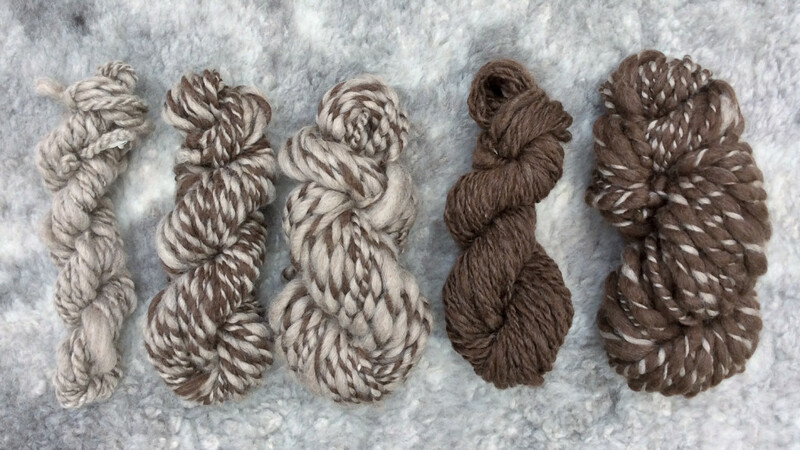 I’ve spun merino, corriedale, polwarth and alpaca. 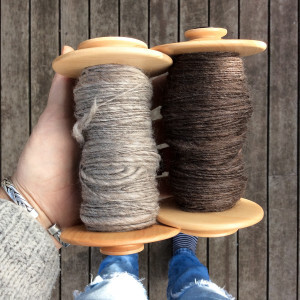 I’ve spun thick and thin and I’ve done some plying. How exciting is plying? Especially with 2 different colours!! I’m so keen to keep going with it and spin something truly garment knit worthy. I really have loved everything I’ve learned along the way. I really think it’s through the process of trying new things and learning new things, often unrelated (or perhaps the connection was never made?) that you suddenly have a light bulb moment and think “Ah! So that’s why that does that!” And instead of inching along in your practice, you can finally sprint for the next hurdle, instead of slowly stumbling towards it. My two squishiest squishies. Tarndie’s Polwarth is the best!